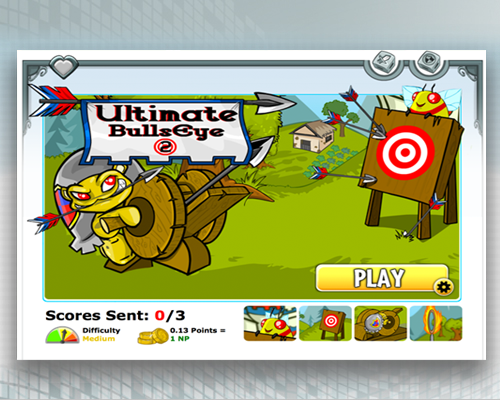 Ultimate Bullseye 2: showcases the sharp-shooting Turtum (turtle). He is back again in Ultimate Bullseye II! 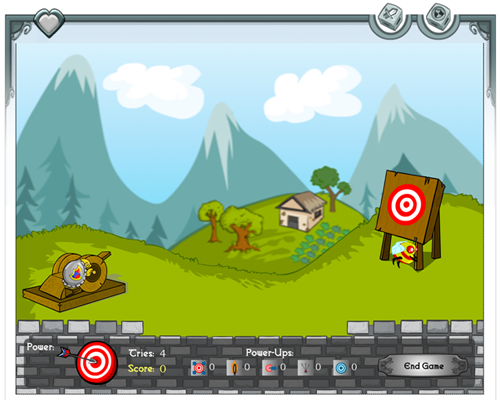 Use all of your archery skills to hit the bullseye with your ballista (a giant crossbow on wheels). You'll have 10 shots to earn as many points as possible... and to show off your targeting talents! If you manage to hit the bullseye, you'll earn a special power-up to use on a later shot. 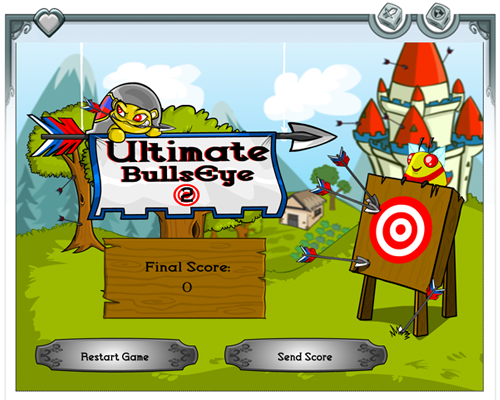 If you're lucky enough to land your arrow in the bullseye on your last shot, though, you'll earn 3 extra shots!